Did you miss the Kentucky Spring Game or just want to relive the beautiful day at Kroger Field? Have you ever wanted to see the Cats play from field level or experience post-game media festivities? 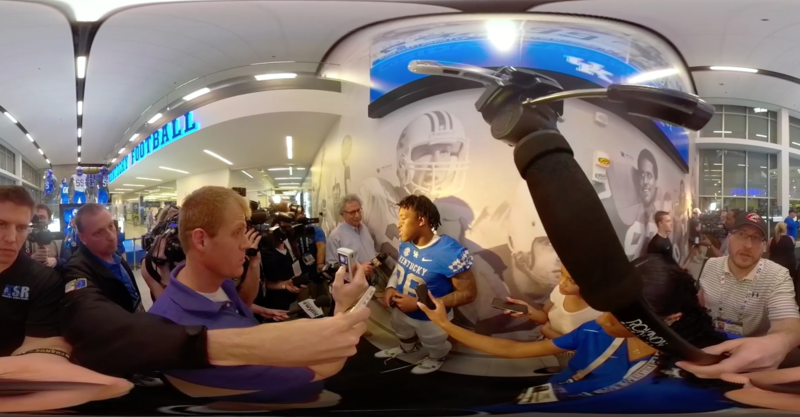 VRJAMLAB is here to bring you highlights from the annual Blue-White scrimmage in full 360-degree HD. Next PostNext Showtime at the Apollo.